With a stay at Hôtel les Aubépines in Illiers-Combray, you'll be 15.9 mi (25.7 km) from Fine Arts Museum of Chartres and 16.1 mi (25.9 km) from Chartres Cathedral. Free self parking is available onsite. 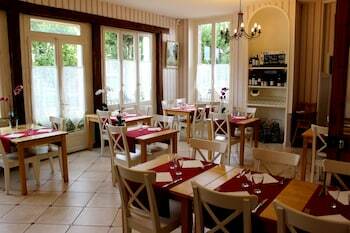 Located in Angers, Le Relais D'orgemont is within a 15-minute drive of Chateau d'Angers and Musee des Beaux-Arts. Free self parking is available onsite. Located in Saint-Gilles-Croix-de-Vie, this vacation home is minutes from Le Carrousel Saint Gilles Croix de Vie and Church of Saint-Gilles. Free self parking is available onsite.